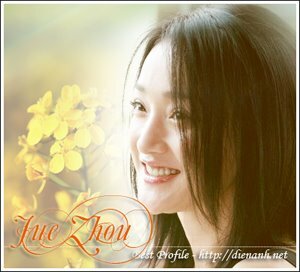 After winning the "best foreign film award" in the Queens film festival, Perhaps Love had scooped two more awards at the 2005 MTV movies awards, "best original style actress" for Zhou Xun and "best original style movie" awards. Peter Chan and Zhou Xun were delighted with their acheivements, gaining 2 more awards before the public release of the movie and this is also his first movie that is made in China. Orignality is the best description of this movie, the romatic storyline, grand music and dance scenes, chinese and korean stars' best performances, the number one choice big movie this Christmas season. Zhou Xun's performance was exceptional in the movie, she had many different looks and styles, singing and dancing, and how she portrayed the character who abandon love for vanity was her best. Peter Chan had said she is a completely different person in real life, the charcter she played was so convincing, nobody will doubt her performance, she deserved this award. With the acheivements from the Queens and 2005 MTV makes PL more intriguing and the anticipation for its release. Also, PL would now stand even a greater chance of gaining an award at the Oscars.